In a highly secure, clean room of the Indian Space Research Organisation (ISRO) here, teams from the private sector are working shoulder-to-shoulder with government engineers to create a new bird that will soar in the sky very soon. The Indian space establishment has crossed a new threshold, engaging for the first time a private sector industry to make a full multi-crore, heavy duty and full navigation satellite. Having been unable to keep pace with satellite fabrication, the ISRO has now roped in the private industry to bridge the gap. A consortium led by Alpha Design Technologies, Bengaluru is tasked to make two full satellites for India’s navigation system. After almost 150 missions and three decades of space faring, the ISRO is on a mission like never before. Towards that end, a high-tech defence equipment supplier from Bengaluru, Alpha Design Technologies has been chosen as the first private industry tasked with making not one but two full satellites for the ISRO. A team of 70 engineers is working hard to make a flight-ready satellite in the next six months. Colonel H.S. Shankar, the man who helped India get its first bulk supply of electronic voting machines (EVMs), is leading the consortium and he is keeping a hawk’s eye on the fabrication process. With seven satellites already in orbit, the NAVIC (Navigation with Indian Constellation) or the Swadeshi GPS system is today fully functional but to be on the safe side the ISRO needed two spare satellites on the ground for a quick launch in case something went wrong. It signed up with the Rs. 400-crore company to give India its first large private satellite. The ISRO also wants to seed an ecosystem where the private sector takes a lead in the future. “...16 to 17 satellites we have to make every year. So it is a really-really quantum jump and to fill that gap..., we thought the industry could come in,” he added. Satellite fabrication requires high precision as these birds cost hundreds of crores of rupees and after the launch they remain functional for up to 10 years with no scope for repair. The space environment is very punishing and the untested fail miserably and space faring remains a high risk activity. “Similar thing is being done for this mission. For the first standby Indian Regional Navigation Satellite System (IRNSS) satellite, we will be handholding the private team. Some 70 young engineers are there and they will be watching what we are doing and then at the end of the first satellite fabrication, the private team will come out with a document of what they have understood and how they will make the second satellite, this document will be audited by the ISRO’s quality assurance team,” he said. And once the ISRO teams clears it and are convinced that the private team is really trained and they are equipped with the necessary skill sets, only then will they do the second satellite fabrication on their own. “Hopefully, together we will be able to succeed because anyhow they are learning under our watch. So once they start to do one or two satellites like that, they will be able to take on making subsequent satellites totally on their own,” he said. India recently launched 104 satellites on a single mission, creating such a global sensation that an intelligence officer from the U.S. expressed his “shock” at India’s singular achievement and this paved the way for India’s foray into the multi-billion dollar launch industry. By supporting the private industry to learn the processes of making satellites, India hopes to create a robust space industry in the private sector. In the past, the ISRO has designed and made a satellite for the Europeans and this new and bold move could in times pave the way for India being a global hub for the space sector. Towards that end, a high-tech space park is almost ready at one of ISRO’s newer satellite facilities in Bengaluru, and here the private sector could make the best of the best satellites. 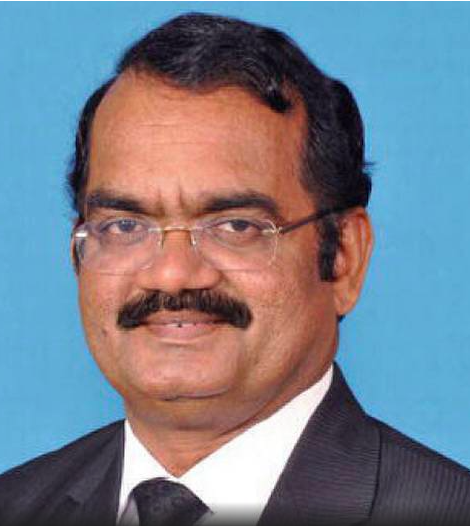 Mr. Annadurai has said once ready, this space park will be unique since from the smallest components to the flight-ready satellites — all will be made under one roof. No other facility like this exists anywhere in the world, he insists. India is regarded as a low cost and reliable space power. Today for the first time a satellite is being fabricated in the private industry — a giant leap for the ISRO and a giant leap for the Indian space industry. So in the corner of an airtight room of India’s satellite fabrication unit where even the smallest speck of dust is not allowed to enter, a giant breathe of ‘private’ fresh air has been ushered in.